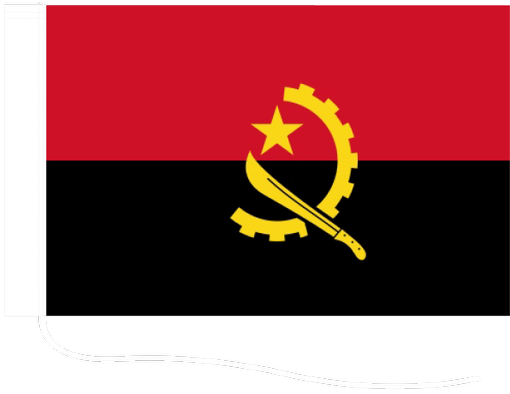 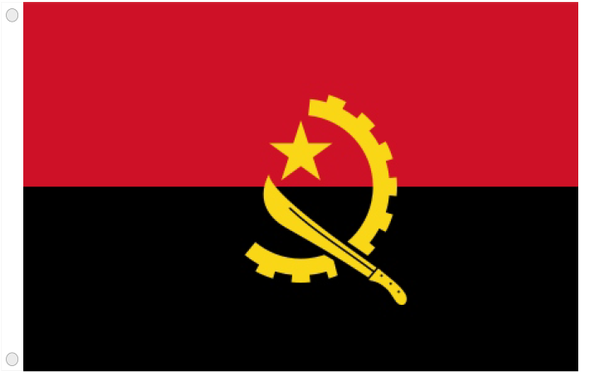 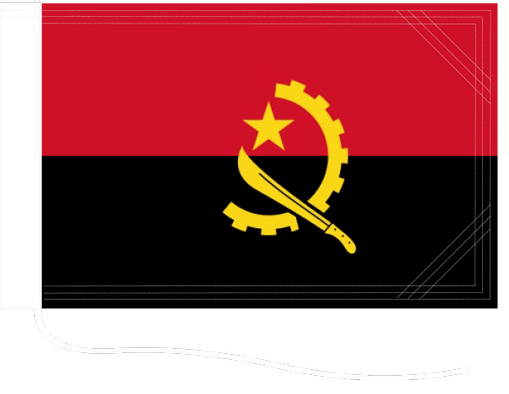 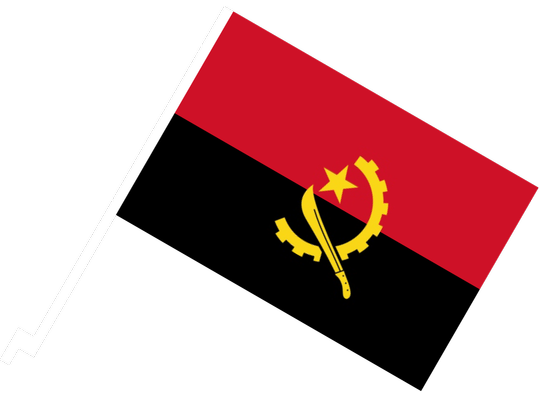 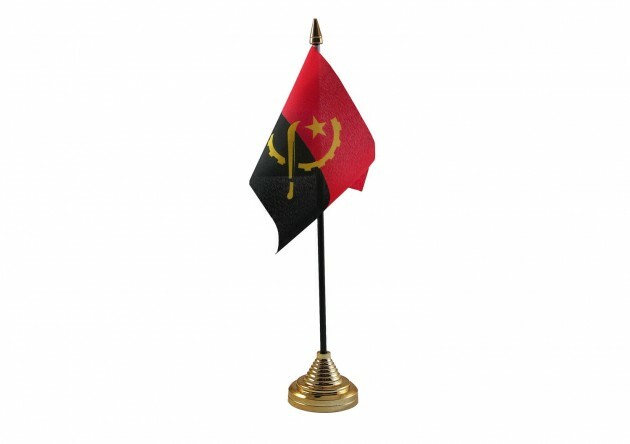 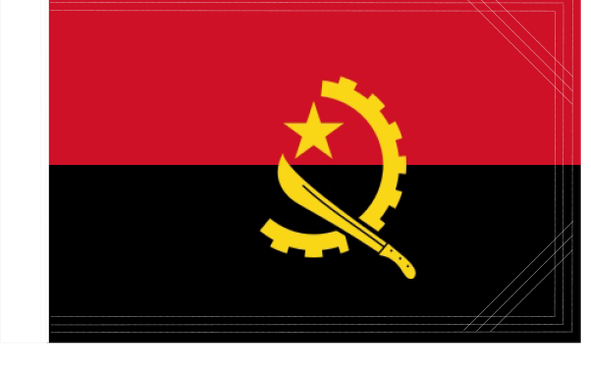 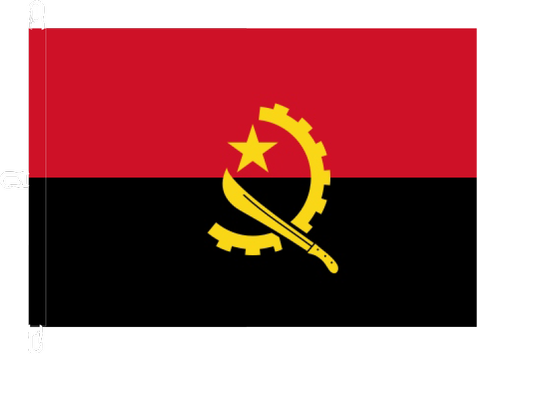 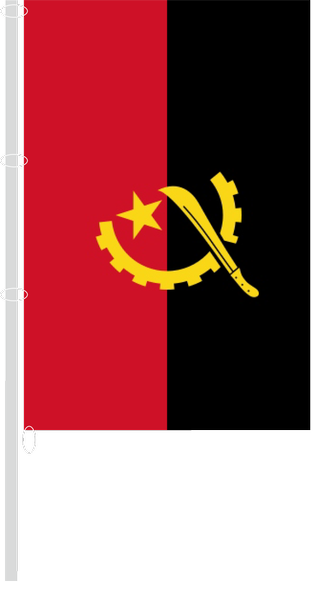 Angola achieved independence from Portugal in 1975 and introduced a new flag. 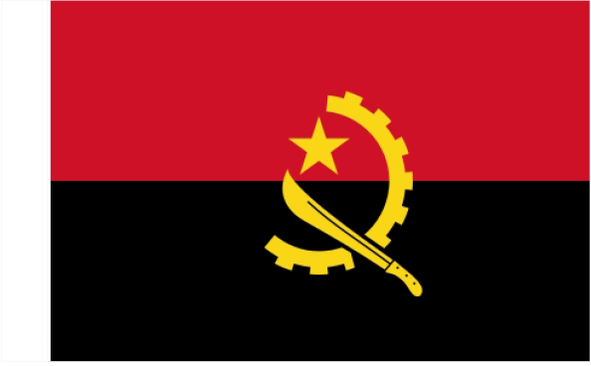 Red symbolizes freedom, black African continent and yellow represents the rich natural resources. 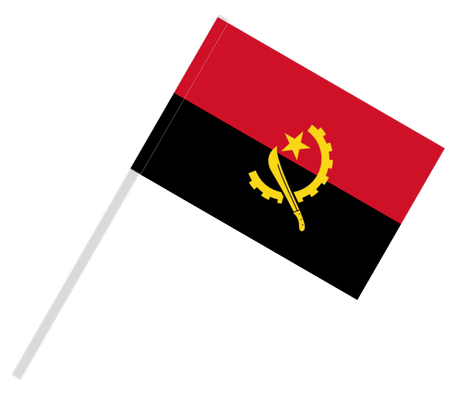 Emblem was inspired by the flag of the former Soviet Union, and symbols represents the unity of peasants and workers.